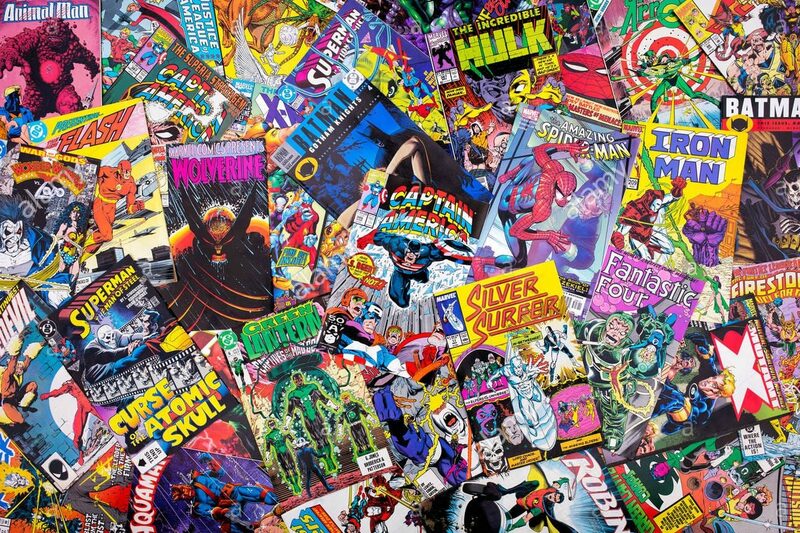 The Critical Angle: Do comic collectors really have OCD? – AiPT! The X-Men-Weezer connection: Does it go deeper than 'In The Garage'? Rargh, the comics are askew! Who's eye is twitching? Today we welcome back Board-Certified psychiatrist and OCD specialist Richard Schloss to answer if we twitchy comic collectors are misdiagnosing ourselves. Obsessive-Compulsive Disorder, or “OCD” for short, is a relatively common psychiatric disorder affecting from two to five percent of the population. As the name suggests, it’s characterized by the presence of obsessions, compulsions, or both. Obsessions are intrusive, usually negative thoughts that repeat constantly despite efforts to dismiss them, while compulsions are repetitive, often ritualized behaviors that are performed to reduce anxiety, sometimes in an attempt to neutralize obsessions. For example, if I have the thought that I left the stove on, and it keeps repeating in my head despite my attempts to reassure myself that I did not, that’s an obsession. If I cannot avoid going back to the stove multiple times to check that it is in fact off, that’s a compulsion. If each time I return to the stove I must count to five while wiggling the handle to make sure it’s off, that’s a ritual. Many people are familiar with one of the most common compulsions of OCD, excessive handwashing. OCD sufferers with this compulsion will wash their hands up to 30 or 40 times a day, often until the skin is raw and bleeding. This is usually performed in response to one of any number of contamination obsessions, such as fear of transmitting disease-carrying germs that could cause illness in the individual or a loved one. Other contamination obsessions involve fear of chemicals, poisons, or any greasy or sticky substance that might be transferred by touch. The driver then feels compelled to turn around and drive back to the spot where they felt the bump to check for a body or injured person lying in the road. Of course they find nothing there, but a few seconds after driving away, they wonder if they checked thoroughly enough, and they have to go back. Thus, a short trip of only a few miles can wind up taking hours. Persons with OCD are sometimes known for wanting things “just so,” and for repeatedly adjusting the positions of objects by mere millimeters until it “feels right.” They may become distressed or angry if others move their belongings by even a small amount or fail to return them to their exact position. Rargh, the comics are askew! Whose eye is twitching? There are several sources for this confusion. For one thing, compulsive traits and behaviors are exceedingly common in the population, and can often be adaptive. How many of us have set our alarm for the morning and turned off the light, only to turn it back on a few minutes to check that the alarm is indeed set? A physician who feels compelled to check your lab results before leaving their shift, rather than signing it out to the busy colleague coming in to relieve them, may save your life by doing so. More confusion may be caused by a related condition called Obsessive-Compulsive Personality Disorder. These are the individuals who need everything “just so” and insist that others do things exactly as they demand, but who function well and experience no distress from their own personality traits. They see themselves as being correct, and everyone else as being slovenly or careless — as opposed to true OCD sufferers, who recognize their thoughts and behaviors as irrational. A good example of someone with OCPD (rather than OCD) is the relative who keeps plastic sheets on all the furniture and won’t let anyone use the towels because they’re “just for show.” It’s been said that people with OCD drive themselves crazy, whereas those with OCPD drive everyone else crazy. It’s not until an obsession or a compulsion becomes severe enough to cause significant distress or to interfere with functioning that it’s considered symptomatic of a larger disorder. Once it does, it’s no laughing matter — OCD sufferers know their thoughts or behaviors are irrational, but cannot stop themselves, often losing jobs and destroying relationships. Fortunately, we now have both medications and targeted psychotherapies that can help greatly, or even drive OCD into remission. The Critical Angle is a recurring feature that uses critical thinking and skepticism to analyze pop culture phenomena. Rather than repeating the same old assertions, we put them to the test.